Italian only give-away with an even more obscure flipside. "Vietata la vendita al pubblico" (Not for sale). "Disco omaggio allegato al N. 57 - L'Ultimo Buscadero." 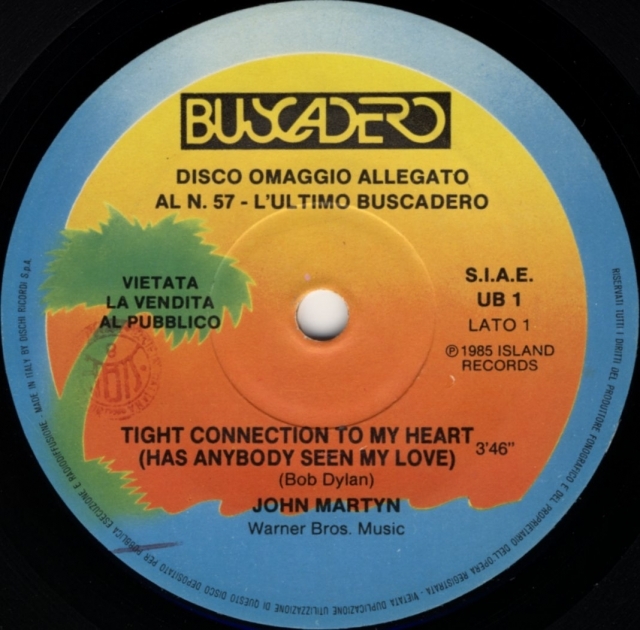 Which means that this was a complimentary disc enclosed with issue 57 of a monthly Italian music magazine Buscadero (L'Ultimo Buscadero being the name of the publisher). The magazine started January 1981 and has 11 issues a year. By my calculations number 57 was issued March 1986; this item indeed contains a review of Piece By Piece, a two page interview, and a discography. 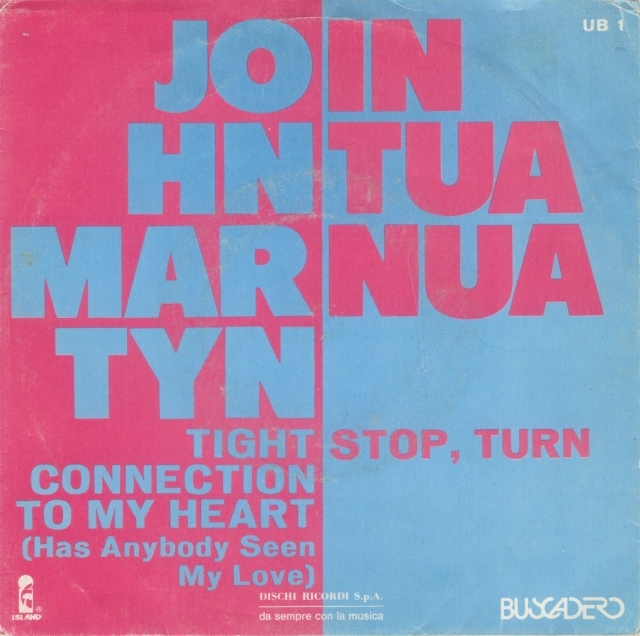 The cover announces the free disc ('Contiene un disco di John Martyn!). Let's be frank, this is not the best cover performed by Martyn in his long career, he could have done better on other occasions. Very little remains from the catchy Dylanian motive, the scene is moved to a discotheque with the typical lasers and mandatory bright tiles, shame because the voice is always warm and inviting. The track is unreleased and therefore will not appear on the new album "Piece By Piece". So please accept this single, enhanced by an excellent B side, as a collectible gift by your music magazine.